New Delhi, Oct 26 (IANS) The Committee that chose Additional Director in CBI Rakesh Asthana as Special Director was unanimous in its choice, Chief Vigilance Commissioner K.V. Chowdary said on Thursday, dismissing media reports to the contrary. “There are some reports in the press. I don’t want to join issue with them but I can only say that the process has been followed and the recommendations are unanimous,” Chowdary told IANS. 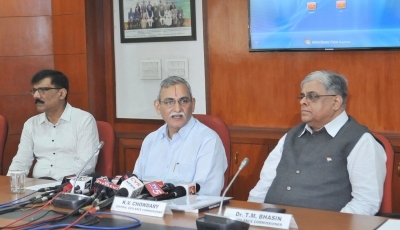 He was reacting to reports that the Committee comprising two Vigilance Commissioners and two Secretaries from Personnel Department and Home Ministry was not unanimous on the choice of Asthana as Special Director from which he was mostly likely to be elevated the CBI Director. The CBI Director is a special invitee to the Committee. Giving details of the selection process, Chowdary said it was not that somebody says something and it has to go through. Asked if there was any dissent note from the CBI Director regarding Asthana, he said, “That I can’t disclose to you. “The Director CBI has the respect of all the members of the Committee as he is a special invitee and he is to be consulted and he has been consulted. “In the consultation, either he supported or opposed is a matter which is not appropriate for the Committee to disclose. His views were taken, detailed minutes recorded and recommendations were sent to the central government,” he said.